Back in April WestJet Rewards took a big step in the evolution of their frequent flyer program by adding Delta Airlines as a redemption partner. When that option launched (read all about it in our post from April) the Delta cities you could redeem your WestJet dollars for was limited to 7 cities in Europe, Asia and Australia. As of today the partnership has been expanded to allow WestJet Rewards members redeem dollars to fly on Delta to more cities in Europe, Africa, and Asia. This means an additional 35 cities that you can now use your WestJet dollars to get to including Johannesburg, Accra, Zurich, Seoul and more. In total that brings the redemption options on Delta to 42 of their international destinations. The only areas missing are Central and South America. Those are due to be added soon! 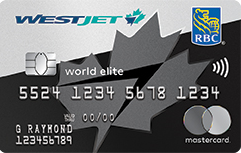 Overall this is great news for WestJet Rewards members. The more options you have to use your dollars the better. It will be nice to see if more Delta flights are added for cities within the U.S., South America and even Africa. Also don't expect this to be the only redemption partner added this year, as we already know Qantas is coming down the line but there is at least one more very exciting partner that will be also be added! So this makes the deal with Delta even better even though you still can't use your dollars for flights within the U.S. but with WestJet code sharing on many Delta routes in the U.S. you do have the regular WestJet Rewards option for redeeming for those flight as a connection from a Canadian flight. Click here for more details on this latest development from WestJet and to search or book reward flights with Delta!